Roseville offers FREE all day kindergarten. Contact the accounting office at 586-445-5510. 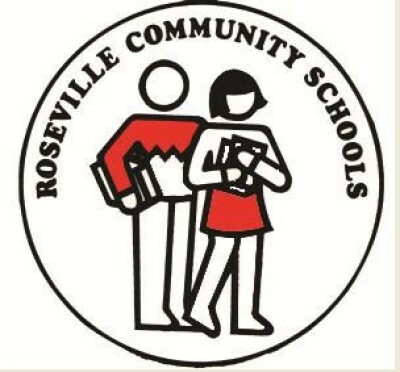 Roseville High School offers dual enrollment. Contact the counseling office at 586-445-5553. Fri April 10 - Spring Recess! No School! Mon April 20 - School Resumes. Board of Education Meeting 7:30 p.m.
Mon April 6 - Board of Education Meeting 7:30 p.m.
Mon May 25 - Memorial Day! No School! Mon May 18 - Board of Education Meeting 7:30 p.m.
Mon May 4 - Board of Education Meeting 7:30 p.m.
Mon June 1 - Board of Education Meeting 7:30 p.m.
Mon June 15 - Board of Education Meeting 7:30 p.m.
Why should I read every night? Reading 20 minutes each day adds 1,460,000 words heard per year! This tab is under construction. Please check back soon! This tab is under construction. Check back later for more departments and resources. Preview ELA Online Text Book and Resources Houghton Mifflin Harcourt/Holt McDougal http://my.hrw.com/ 6th Grade - User Name: pparent118 Password: w5n4n 7th Grade - User Name: pparent119 Password: y9n2k 8th Grade - User Name: 8practice1 Password: d4v2a To log in please click the first link in the ELA RMS Student Resources, titled Student Text Book Log In.